34 page full color magazine about The End of Pictures and Steve Gladstone. Steve Gladstone never owned a digital camera … for Steve, it marked the End of Pictures! 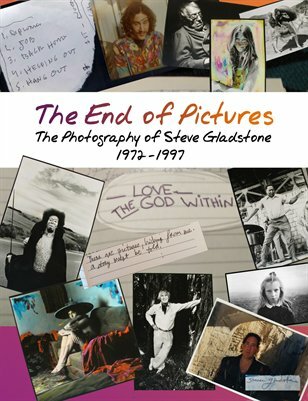 The End of Pictures is the phrase Steve Gladstone repeatedly scribed on a collection of his favorite photographs. These images were often hand-colored with markers, scrawled on with stories, and redacted with sharpies, transforming them into narrative paintings. It’s at once a statement about the lost art of photography, and a window into three decades of life synthesized into a poetic epilogue. *The complete End of Pictures collection includes over 100 images.